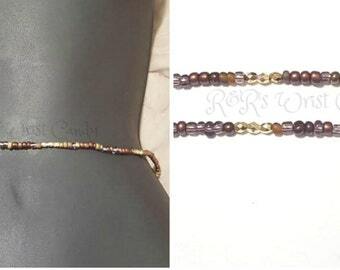 One beautifully handcrafted beaded belly chain. This belly chain is perfect for the summer with a bikini or a simple crop top! Show off all that hard work! Also great gift idea for the holidays. 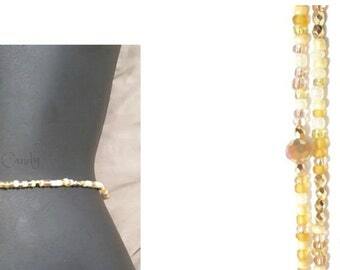 Simply made with 6/0 multicolored glass seed beads featuring 10mm multicolored discs. 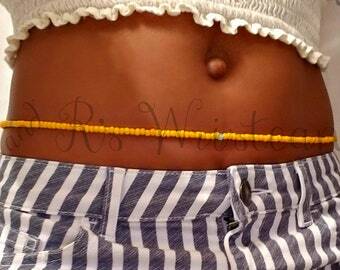 Simply measure the size of your waist/hips (however high or low you want your belly chain to hang) with measuring tape! 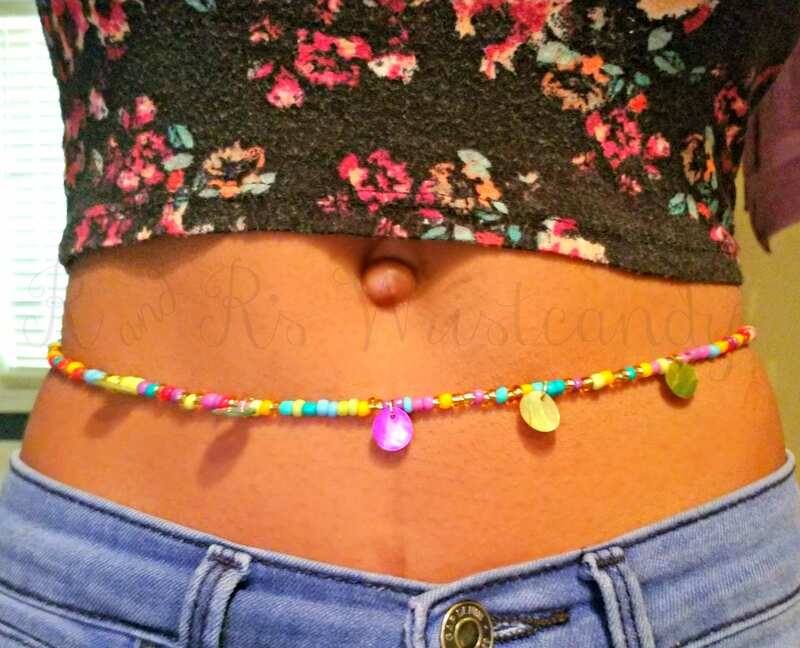 These waist beads have no open/closure. Simple step into these and pull them up (carefully)! 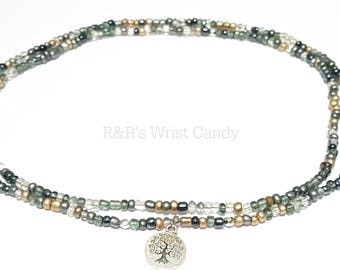 Because of the simple minimalist design these beads can be worn around you neck for layering or wrapped around your wrist as a bracelet!